← Why does a connection with (the rest of) nature improve well-being? Last summer I wrote about the launch of Shmapped, our smartphone app to study how green and built spaces affect our wellbeing. Shmapped is part of the £1.3 million Natural Environment Research Council funded project IWUN: Improving Wellbeing through Urban Nature. The Nature Connectedness Research Group at the University of Derby has completed analysis of a chunk of the data after 10 months of data collection – there’s a lot of data! I’ll publish blogs about the results in the future, but signs are good with noting the good things in nature leading to significant improvements in well-being. Shmapped, and IWUN, is based in Sheffield (Sheffield Mapped), however we’ve now launched the Derby version, Good Things Derby on Android and Apple iOS. If you’re outside Derby, you can still use it, but it won’t be aware of your local green spaces. 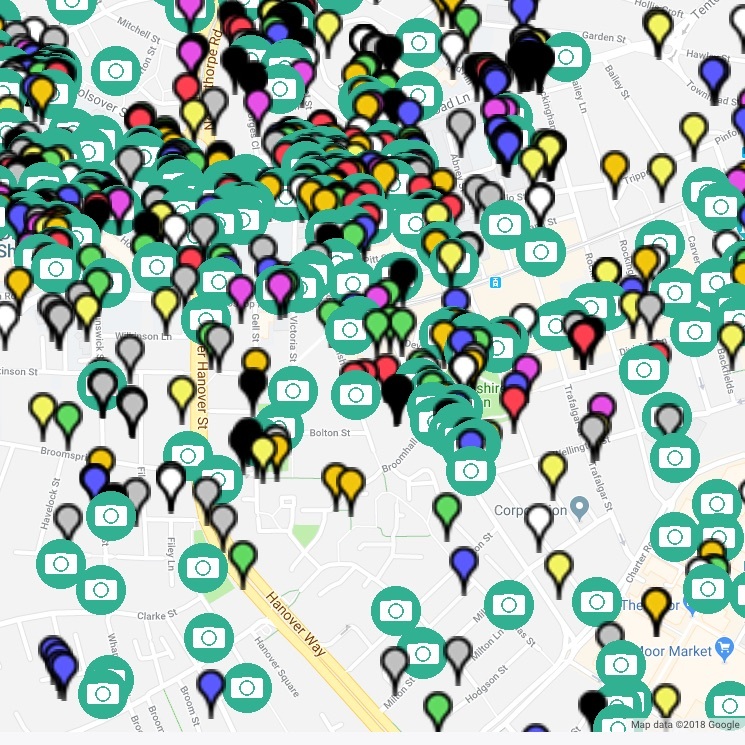 Good Things Derby records how people interact with their local green and built spaces and prompts them to map and notice the good things they see. We’re asking people who live and work in and around Derby to use the app for 7 days – there’s a prize draw for those who do. The app reminds users to notice and map the good things, letting people record, photograph and rate places. 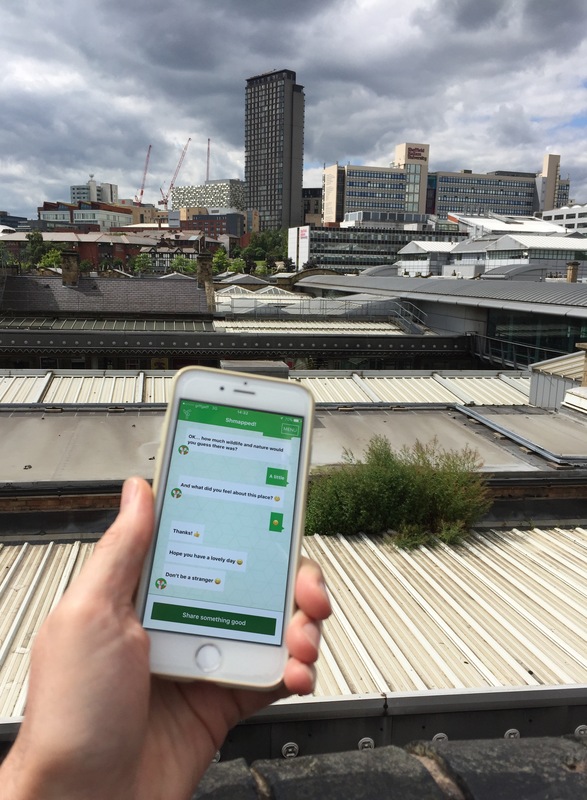 The smartphone is also used to track activity, allowing us, with the help of the Data Science Research Centre at the University of Derby, to visualise some really rich and useful data about how people use and rate the city – as shown in the images below from Sheffield. 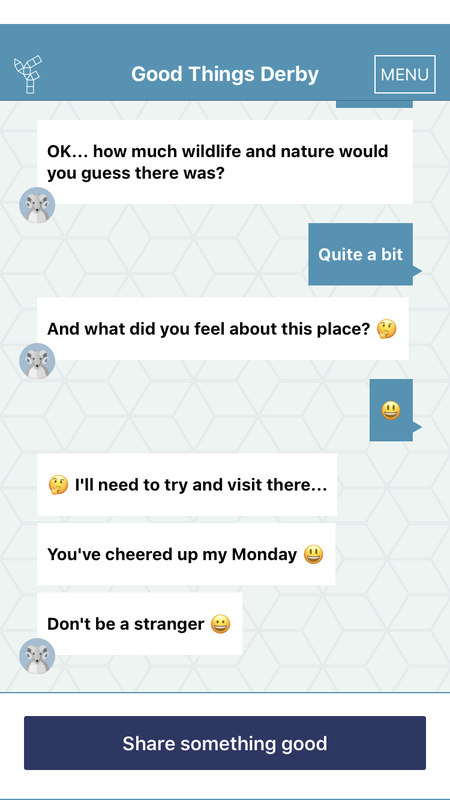 To be as engaging as possible users interact with the app through a ‘conversation’ with a ‘chatbot’, your companion for the week. For those people in Derby the app tracks the user’s time and use of green spaces using about 1000 ‘geofences’, reminding them to notice the good things in nature when in green spaces in, and up to 10km away, from the city. Being a research study, some users of the app are prompted to notice good things in the built environment. 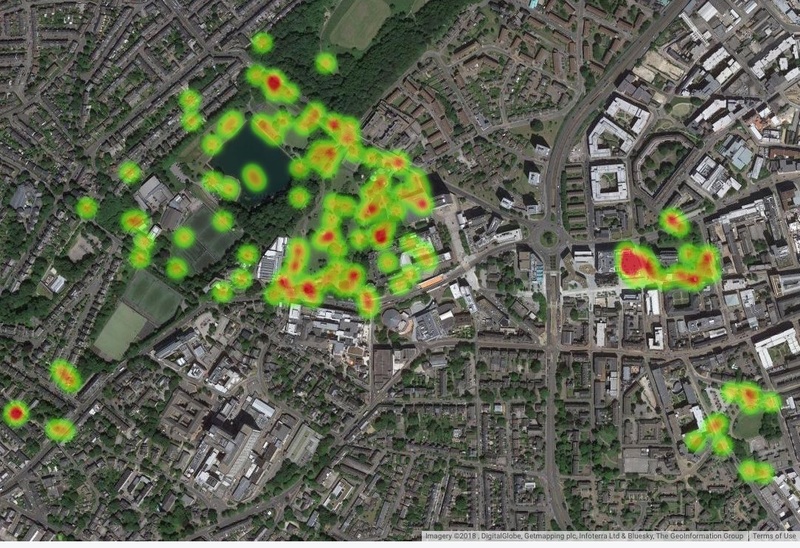 As well as an intervention to improve wellbeing, Shmapped is showing us that the app provides a promising tool for monitoring green space usage – but there’s a huge amount of data to analyse. So please take a look, especially if you’re in Derby. Hi Miles, I’d be interested to learn whether there were differences in the group that was looking for good things in nature and the group looking for good things in the built environment. Looking forward to following your blogs on this.